http://www.silverlake.com/employee.php?page=team&id=204 Silver Lake partner up to a certain date: ________. ?? 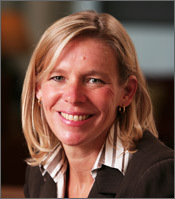 Cathy Zoi is the former Assistant Secretary for Energy Efficiency and Renewable Energy (EERE) at the U.S. Department of Energy. She is currently employed by Silver Lake Kraftwerk, "a partnership between Soros Fund Management and Silicon Valley private equity giant Silver Lake." Cathy Zoi currently serves as a Partner at Silver Lake Kraftwerk, a Silicon Valley-based growth equity firm focused on energy and resource technology companies in the U.S. and internationally. Zoi was the founding chief executive officer of the Alliance for Climate Protection, which was established and chaired by former Vice President Al Gore. Zoi served as the Chief of Staff in the White House Office on Environmental Policy in the Clinton-Gore administration, where she managed the team working on environmental and energy issues. She has also served as a manager at the U.S. Environmental Protection Agency (EPA), where she pioneered the Energy Star Program. She has worked for several energy-focused organizations, serving as the group executive director at the Bayard Group, recently renamed Landis+Gyr Holdings, which is a world leader in energy measurement technologies and systems; as the assistant director general of the New South Wales EPA in Sydney, Australia; and as the founding chief executive officer of the New South Wales Sustainable Energy Development Authority (SEDA), a $50 million fund to commercialize greenhouse-friendly technology. Under her leadership, SEDA launched the world's first nationwide green power program and the world's largest solar-powered suburb. 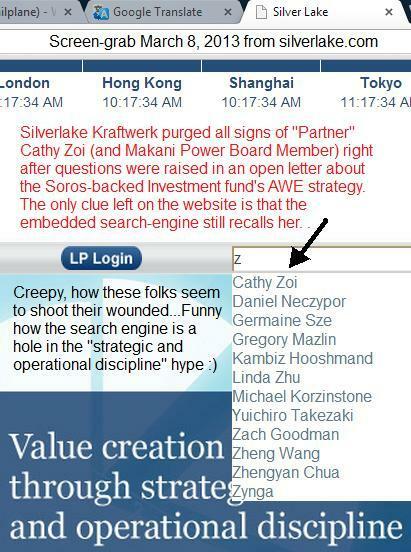 In February 2011, it was announced that Zoi had been hired by George Soros and private equity firm Silver Lake to run an "investment strategy focused on providing growth capital to business innovators in the energy and resource sectors"
The Office of Energy Efficiency and Renewable Energy (EERE) is an office within the United States Department of Energy that invests in high-risk, high-value research and development in the fields ofenergy efficiency and renewable energy technologies. The Office of EERE is led by the Assistant Secretary of Energy Efficiency and Renewable Energy, who manages several internal EERE offices and ten programs that support research, development, and outreach efforts. The Office of Energy Efficiency and Renewable Energy's mission, according to the U.S. Department of Energy's Web site, is to strengthen America's energy security, environmental quality, and economic vitality in public-private partnerships that enhance energy efficiency and productivity; bring clean, reliable and affordable energy technologies to the marketplace; and make a difference in the everyday lives of Americans by enhancing their energy choices and their quality of life. The Office of EERE is led by the Assistant Secretary of Energy Efficiency and Renewable Energy, who is appointed by the President and confirmed by the U.S. Senate. The Office manages ten major programs, each of which is responsible for research, development, and outreach in a particular field of renewable energy or energy efficiency. The Alliance for Climate Protection was founded in 2006 by Nobel laureate and former United States Vice President Al Gore, it is a nonprofit, nonpartisan organization committed to educating the global community about the urgency of implementing comprehensive solutions to the climate crisis. The organization oversees numerous campaigns, including Repower America, the Climate Project, Repower at Home, the WE Campaign, the Reality Coalition, and works with its affiliated organization, the Climate Protection Action Fund. During her tenure at the U.S. Environmental Protection Agency (EPA), Cathy Zoi pioneered the Energy Star Program. The Energy Star program was created in the early 1990s by the United States Environmental Protection Agency in an attempt to reduce energy consumption and greenhouse gas emission by power plants. The program was developed by John S. Hoffman, inventor of the Green Programs at EPA, working closely with the IT industry, and implemented by Cathy Zoi and Brian Johnson. The program was intended to be part of a series of voluntary programs, such as Green Lights and the Methane Programs, that would demonstrate the potential for profit in reducing greenhouse gases and facilitate further steps to reducing global warming gases. Initiated as a voluntary labeling program designed to identify and promote energy efficient products, Energy Star began with labels for computer and printer products. In 1995 the program was significantly expanded, introducing labels for residential heating and cooling systems and new homes. As of 2006, more than 40,000 Energy Star products are available in a wide range of items including major appliances, office equipment, lighting, home electronics, and more. In addition, the label can also be found on new homes and commercial and industrial buildings. In 2006, about 12 percent of new housing in the United States was labeled Energy Star. The EPA has estimated it saved about $14 billion in energy costs in 2006 alone. The Energy Star program has helped spread the use of LED traffic lights, efficient fluorescent lighting, power management systems for office equipment, and low standby energy use. In 2008, the EPA announced Green Power Partnership program, which was designed to help achieve its goal of encouraging the use of renewable power sources. The renewable energy credits allow companies without direct access to renewable power achieve their goals. However, to avoid companies buying RECs years in advance of any of the hypothetical power ever being produced, RECs are only accepted into the program when the actual equivalent renewable power will be produced. Certain sources have indicated that Zoi may have had conflicts of interest with regard to her and her husband's previous companies while at the Department of Energy, and that she used her position in the Obama administration to benefit them. She owned stock in Landis+Gyr at the time of her Senate confirmation, and her husband, Robin Roy, was Vice President for Policy (and a stockholder) of Serious Materials until a month before her appointment. Zoi's holdings were known to the Senate when she was confirmed, and she recused herself from decisions affecting her husband's previous company. In July 2011, Zoi was named by Forbes Magazine as one of the "Top 12 Women of Cleantech." ^ a b "Silver Lake".